Calling all wildflower lovers again. 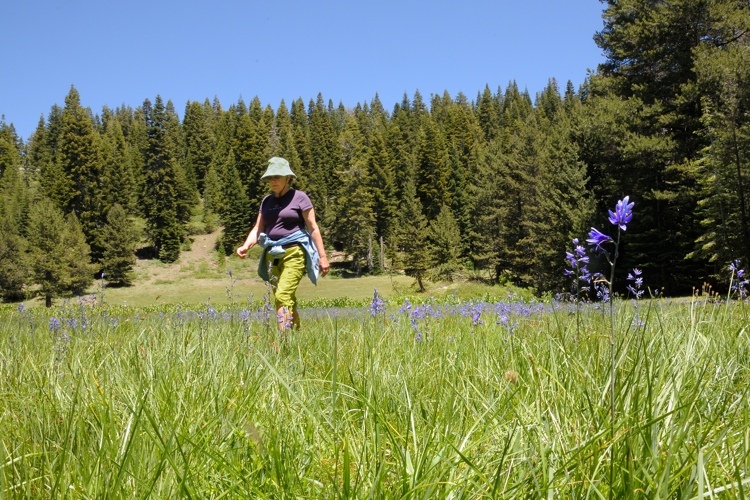 We found another bloom of Camas Lilies, this one is up at Tiny Tim meadow on the way to Rowton Peak. The plants are in much fresher condition than the ones we saw in Van Norden Meadow a couple of days ago. 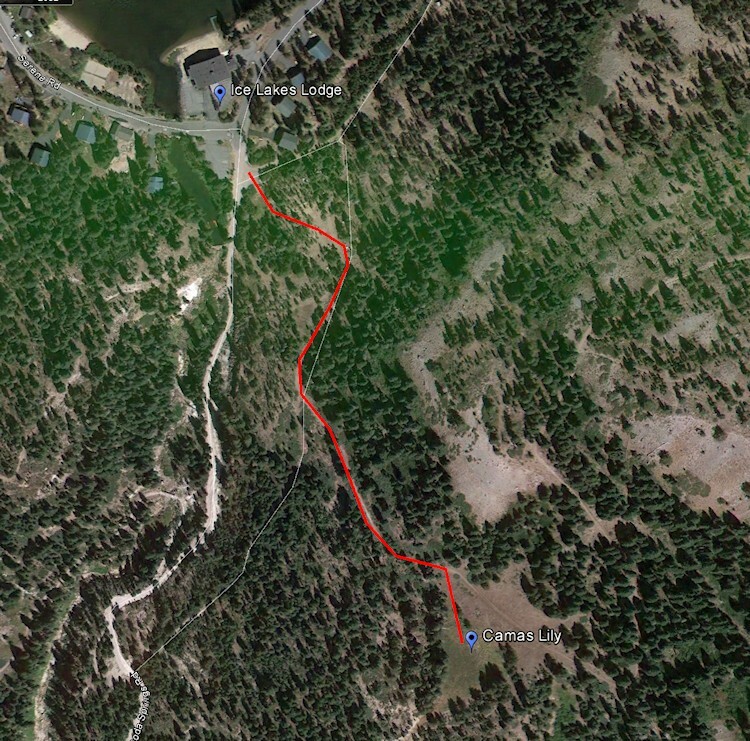 You can get to it from the parking lot across from Ice Lakes Lodge in Serene Lakes (see map). If you want to join us on Sunday, June 16 @ 9 am on our hike to Rowton Peak, we will be making a visit to the meadow. If you’re going on your own, you have about a week before these beauties start drying up.